Hi. 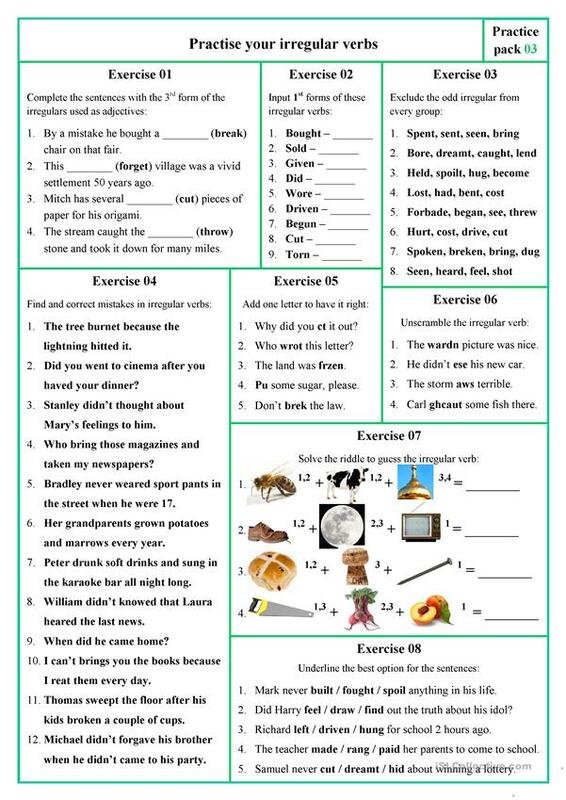 Ut's a brand new pack of exercises on irregulars. The main feature of this issue that it is designed for elementary level students (the 3rd form is used only as adjectives). The KEYS are attached. Your comments and likes motivate me and thus are warmly welcome. The present downloadable teaching material is intended for high school students and adults at Elementary (A1), Pre-intermediate (A2) and Intermediate (B1) level. 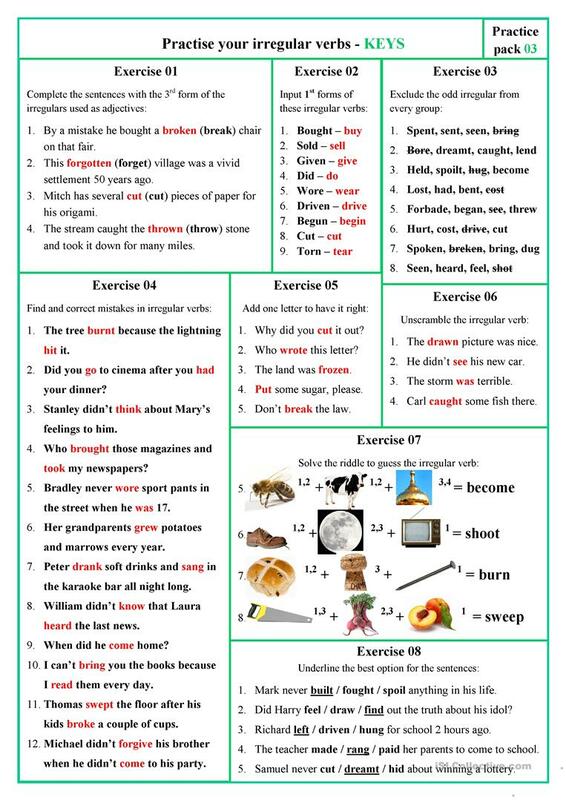 It is great for revising Irregular verbs in English.